Here is a collection of my comments and reflection on FB group. We are born to learn, and when we were babies, did we stop learning? From our dad, mum, brothers, sisters, before institutions. I see all learning as a continuum, once we are born, till we “die”. Institutions do play a role, and so do educators, peer learners, and many of our “friends” and “relatives” in our early growth. Even when we have left schools (or institutions), we are still experimenting our learning with others, our environment, with trial and errors, and our wisdom. Aren’t MOOCs there just to bring people “closer” together, irrespective of the status, qualifications, background, or skills level. What makes education (someone teaching us, or the teaching on us)? It is the care and support, the encouragement and inspiration which makes us feel important, in learning. When we failed, that may be the opportunity for us to learn best, where we realized that we are in need of perceiving things differently to better understand ourselves, in terms of strengths and areas of development. That is where MOOCs might be exploited as a window of opportunity, where we connect to share our understanding of each others, and how we perceive things from different angles, and see our differences in a different light. If education is designed to prepare people for developing skills for work, or to improve their existing knowledge and skills (competency), then surely xMOOCs might fulfill some of the aspirations from a provider point of view. How would these vision and mission of providers be matched with those of the learners? What are the assumptions behind the creation, design and delivery of MOOCs (both xMOOCs & cMOOCs)? Have we asked and learnt what, how and why they are for? We all hope cMOOCs could remain a neutral ground supportive of education. That may both be an Utopian education model and a realistic one, depending again on what you (or we) want to achieve. There are lots of MOOCs focusing on the training of skills based on Vocational Education and Training and computer programming, which seem to be quite easy to learn, providing you follow the procedures, and work out some of the exercises, answer the quizzes and tests etc. That is based on the knowledge transmission model, where the students would be expected to demonstrate the achievement of learning or performance outcomes by understanding the knowledge and applying them in specific ways. These sort of knowledge and skills could more easily be translated into OER and put into use in MOOCs, even without much intervention by teachers or professors. If we take a look at the programs available from the Youtube and various education programs (like the Yale, MIT, Stanford OERs), we would soon find that we have such an abundance of information and OERs that we just haven’t exploited them in MOOCs (due partly to the copyright, and the inability to customize them for our needs). Indeed, there are still lots of participants of MOOCs who have already got their Bachelors or Masters/PhDs. So, MOOCs seem to be filling the gap of life-long learning, rather than those who haven’t got the chance to attend universities, at the moment. Besides, there is a famous motto: You don’t need a butcher’s knife to butcher a chicken. This means that having professors teaching in MOOCs may be great so far if the “students” are “really” learning a lot from the teaching, and that those students really understand the “advanced concepts and knowledge” normally delivered at a University level course – at undergraduate or graduate level. May be, graduate students – Masters and PhDs have already mastered most of the skills necessary to conduct independent researches or to teach others using effective strategies. Would most professors still like to conduct researches, apart from teaching? “Are we going to have a test on this next week? Which part of this lesson would be tested? What sort of questions would appear in our test? What are the answers to those questions?” Do these sound familiar in typical lessons? Are these typical questions from students who wish to get high grades in their examinations? Weren’t those the days when “we” as students want to learn more effectively and have a great learning experience? What percentage of students would get an overall A’s? Less than 5%, or 2%? Yes, with xMOOCs, students could try and get As by repeating the quizzes, assignments until “perfection”, etc. Isn’t that perfect? May be, but in a business setting, would that be the case? Do things right the first time – and this would result in no defects, less re-work, at work and in study! Do xMOOCs address these basic problems of learning? Multiple choice (MC) questions have been a quick & easy way to assess a huge population of students. Even IQ test, GMAT, SAT and certain advanced or professional examinations have been using MC to screen, and grade students. The current xMOOCs have largely relied on MC/T/F and peer assessment to ensure its certificate is “validated” and accredited, when the persons taking the “exam” or “tests” are identifiable. However, this is still a problem when students use various means to “cheat” the MOOCs system. How to prevent cheating and plagiarism in MOOCs? What does it mean to cooperate and or collaborate in #Change11 MOOC? MOOCs and the connectivist approach to learning, as I have argued elsewhere, is by contrast ‘cooperative’. There is no presumption of unity, order, shared goals or coherence. There’s no sense of being ‘in the group’ or its opposite. If teams or groups form, they are tangential to the course, and not the core or essence of it. So, if you are discussing ‘Collaborative Open Online Learning’, you are not discussing MOOCs. Perhaps you are discussing things like WikiEducator or OERu, where everybody is pulling the same way. I don’t know. Stephen has also elaborated on collaboration and cooperation here. I had composed a response post here. Collaboration versus cooperation is nuanced to me. I could see the difference between the two, especially when learning through MOOC and with others, when “we” actively converse with each others through different channels in MOOC. It seems that some participants were cooperating for most of the time, though a few participants might collaborate in small groups or teams to work on specific tasks – on research, or wiki, or the MOOCast. It is therefore important to distinguish between individual learning, networked learning and group learning, as a way of learning over the internet and webs. The table here – From Cooperation to Collaboration summarizes it well. In the case of MOOC networked learning, as pointed out by Clay Shirky here: “Not everyone can participate in every conversation. Not everyone gets to be heard.” This also relates to the power associated with networks, where power distribution is often uneven, often following a long tail phenomena, even if it is under a small group learning in the networks. These were also reflected throughout the CCKs and MOOCs, where individuals set their own paths of learning using networks, without necessarily sharing any unity, order, or shared goals, within those networks or organizations. Bloggers just focused on self-reflecting using their blogs and sharing through their PLN (Twitter) or aggregating or curating their collectives (Delicious, Scoop.it or Paper.li, Google Reader) etc. Learning through such thinking it ALOUD, with reflexive learning is more common to the participation of forum discussion and sharing in the more recent MOOCs. 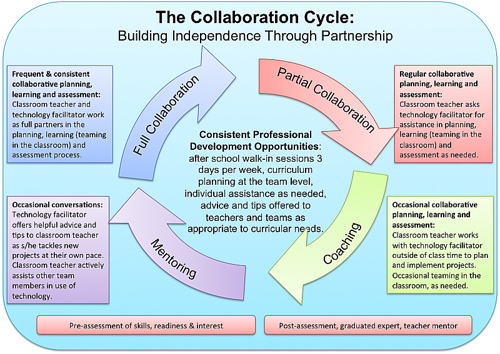 So, does it reflect the cooperative rather than the collaborative nature of networked learning? Some participants of MOOC viewed MOOC as a collaborative platform where Cathy says: “This course will allow us the opportunity to collaborate together and experience first hand this new way to learn.” There may still be many interpretations about the diverse nature of networked learning, based on MOOC experience. When it comes to changes in formal and informal learning, we may need to think about the pedagogy involved, where there may also be a shift from collaborative learning in institutions to cooperative learning in networks. There may also be a shift from cooperative learning in networks to collaborative learning in institutions when MOOC is formally institutionalized and accreditated in institutions. 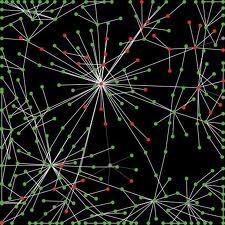 Does it address the difference between cooperation and collaboration learning in the networks/groups? 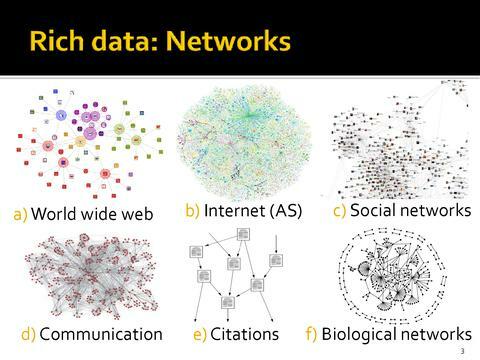 So which types of knowledge are most relevant to networked learning? Stephen argues that we need to focus on the subsymbolic, the concepts, skills, procedures and bits of tacit knowledge that underlie, and give rise to the social conventions. That’s wonderful! I am interested in exploring tacit knowledge and so in my previous post I have tried to relate tacit knowledge with knowledge management. I would like to explore tacit knowledge, reflection and personal learning. (a) What is the meaning of tacit knowledge? In this article about tacit knowledge, Sveiby explains Polanyi’s concept of knowledge, which is based on three main theses: First, true discovery, cannot be accounted for by a set of articulated rules or algorithms. Second, knowledge is public and also to a very great extent personal (i.e. it is constructed by humans and therefore contains emotions, “passion”). Third, the knowledge that underlies the explicit knowledge is more fundamental, all knowledge is either tacit or rooted in tacit knowledge. Knowledge is thus not private but social. Socially conveyed knowledge blends with the experience of reality of the individual. Our knowledge therefore rests in a tacit dimension. I have shared the concept of explicit and tacit knowledge here on What is knowledge and learning. (b) What is Tacit and Focal Knowledge? Knowledge that is used as a tool to handle or improve what is in focus – tacit knowledge. The integration of knowledge is a personal skill in itself. Such integration is often revealed in the use of PLN in learning, where one would reflect on the existing knowledge and blend that with new knowledge in probing, sensing, and responding to complex learning situations. This often involves sensemaking and wayfinding when learning through personal and social networks. Take cycling as an example, a novice cyclist would likely learn how to ride a bicycle through a number of steps: (a) by observing someone riding a bicycle, (b) by riding a bicycle him/herself, (c) by trial and error, he/she would try using different balancing techniques, steering the bicycle, braking it using the hand brakes, (d) asking other skilled cyclists for advice and tips in cycling, and (e) developing knowledge of risks awareness in cycling – through identification, assessment and control of risk etc., and (f) observation of safety rules and regulations whilst cycling on the road. So, the mastery of cycling technique by a novice cyclist is normally done through a number of stages, though the learner might have undergone such stages unconsciously, where tacit knowledge such as balancing of the bicycle with motor skills, sensing the steering with eye-hand-body coordination, responding to emergency and having risks awareness might have all integrated into the knowledge building and growth in the learning. Progressive practice, continuous reflection through further refinement of cycling skills and consulting with other knowledgeable cyclist could all help the learner cyclist in building further competence in riding a bicycle . Such learning practice would also require confidence building with the learner. A learner may also need the support from peers to sustain the interests in cycling. The tacit knowledge associated with cycling might also be revealed through do-fail-re-do-practice-reflect and review cycle where the learner gradually understands the techniques and skills involved in driving a bicycle. So the knowledge of cycling is an activity which could be better described as a process of knowing. Polanyi regards knowledge as both static “knowledge” and dynamic “knowing”. (c) What is reflection in teacher education? What is reflection in teacher education? In this Teacher reflection in a hall of mirrors: Historical influences and political reverberations by Lynn Fendler, she traces the genealogy of reflection in teacher education by seeking the conditions of its emergence through the influences of Descartes, Dewey, Schön, and feminism. Drawing on the critical lenses of Foucaultian genealogy and the sociology of scientific knowledge,the analysis investigates how the complicated meanings of reflection get played out in complex and contradictory ways through research practices. So reflection has always been an important part of learning development amongst educators, and that reflection should go beyond the instrumental reflection. Reflective thinking in teacher education is often practiced using the technique of writing in journals. Journaling, which is usually intended as a means by which teachers and students can get in touch with their own and each other’s thoughts, can also be considered to be a form of surveillance and an exercise of pastoral power. So, when a learner is posting reflective journals or posts on their blog posts (as part of PLE/N), would this be viewed by the learners as a surveillance of his/her learning by others such as teachers and knowledgeable others? Would this explain why some of our learners are hesitant in posting their reflection in public (like blogs, forums)? How would educators support learners in posting their reflection? How about allowing learners to post reflections in their private space (in open source program), such as eportfolios? This would allow learners to share their reflections with those he/she would like to share. Reflection must be a near relative both of critical thinking, and of deep (in contrast to shallow) learning. In fact, we can probably equate reflection with critical thinking turned on one’s own ideas and actions as opposed to those presented by others. Reflection is more often used to refer to actions, and critical thinking more often to alternative theories of the same phenomena, but the framework above applies equally to both. This Reflective practice in the civil society: the contribution of critically systemic thinking by W Ulrich, Ulrich provides a rich account of boundary judgements. He highlights that the facts we observe, and the way we evaluate them, depend on who we bound the system of concern. Only in Habermas’ ideal world, consensus is an adequate criterion of mutual understanding. Yet the huge body of literature around Habermas’ discourse theory of rational action has thus far hardly considered the role of boundary judgements. Ulrich continues: Once we understand the role of boundary judgements and know how to deal with them in an open and reflective way, we can grant one another the right to have different rationalities, we can begin to understand, and agree upon, the sources of dissent. Thus we can learn to understand one another even though we cannot agree, as our needs and interests are genuinely different. In reflection, the concept of boundary judgements could help in understanding why conflicts and arguments in forum are often unresolved, especially when experts, knowledgeable others, novices and many legitimate peripheral participants all have different rationalities, and due to the differences in experiences and individual’s “world views”, this could lead to further disagreement and dissent in various topics which are complex in nature. Would this also provide us with clues on how we could support experts and networkers in establishing boundary judgements? I think this could shed light in overcoming the issue or conflict that often arise mainly because learners (both teachers and learners) may be basing their arguments on their own perspectives, rationality and critical thinking. …well-understood professionalism cannot do without a strong civil society. Only thus can professionals as well as ordinary people act as responsible citizens, that is, follow their conscience rather than group pressures toward conformity. 1. How would tacit knowledge be “transformed” into explicit knowledge in the social learning process (i.e. interaction in social networks)? 2. Is emergent knowledge rooted from individual tacit knowledge? 3. Would “emergent knowledge” be a result of interaction amongst the nodes (networkers, learners, experts, teachers, and agents)? Fendler, L. Teacher reflection in a hall of mirrors: Historical influences and political reverberations. Ulrich. W. Reflective practice in the civil society: the contribution of critically systemic thinking, Reflective Practice, Vol. 1, No. 2, 2000, pp. 247-268. What an interesting discussion here with Heli and Ken! Heli, Your English is fine, and I understand where you are coming from. I came from a non-English speaking background, and so I share many of the feelings you have, when exposed to a global learning environment, here in blogosphere, in particular. You both have interesting points here about Connectivism, especially about this paper on Connectivism by Rita and Adrian, and though we have reported our findings through our papers, there are many ideas about Connectivism for me to reflect upon, before I could further share my views. It’s a bit difficult to “speculate” on what each of us are thinking, unless it is through anonymous interviews, survey or research (even narrative research), where our voices could be “heard” and recorded. However, we may be changing our views in the future, or we might have shifted our way of thinking as we share more perspectives with others in different spaces or media. So, would we also need to take into account of the influence due to some rhetoric persuasion and debates, and the introduction of new and emerging technologies that might cause such shifting of “thinking”. Furthermore, there are many factors which could be considered as “constraints” when learning with online learning, whether within an institutional education or social networking. So openness and autonomy under an educational setting could be totally different from that in social networked learning, or in a non-institutional learning space or media. Although there are still protocols, rules or norms expected in different informal or non-formal Communities (i.e. Community of Practices, Church Communities, Charity communities etc. ), we are often not judged upon individually with performance criteria as such in an institutional setting, where qualifications are awarded based on those criteria. Would most people like to establish a positive personal identity on the Web or social media (the persona)? Who would like to be viewed or perceived as a troll or irritant to others in the media (at least for educated and learnt people)? So would assessment criteria and personal identification in a course be critical in determining whether openness and autonomy is important or not? Would people who have their personal identify known behave appropriately when they are under the scrutiny of the public? I don’t mean that we should have the big brothers watching over us, whether it is in a formal course or just an informal media. However, would most of us like to have “freedom of speech” sort of autonomy, “freedom to choose between transparent or opaque” and free to follow the rules or not when networking in the open space or media (irrespective of whether this is allowed in case of institutional education or not)? How about those who would like to learn more independently in the social space or in a formal course (like the distance learners who have been around for decades)? Would openness be important for them? Would autonomy be critical for their self-dependency? Relating to the research, we have also noted the biasing of “research” as we can never use an experiment on education with human based on a control and experimented group at the same time. Even research from the neuroscience could be “colored”, once the researcher investigates on the “one to be studied”, as there could be “changes in behavior” in response to being examined in an experiment. I think we all learnt from the Hawthorn experiment on the impact of observation on people, and the causal relationship between what is observed and what is in reality could still be “different”. This is especially difficult in any open learning complex environment. 1. Referring to this Educational significance of Social Media What are the merits and demerits of using informal learning/social media in education? 2. What are the issues, challenges and opportunities relating to the use of Complexity Theory (which is pretty close to Connectivism) in Education? 4. Is MOOC or OOC another alternative way of educating our students? To what extent is it better than the traditional methods of education (especially in Higher and Further Education)? 5. So, is connectivism a learning theory? Is it a new learning theory? And what are the implications if it becomes a new learning theory? I will surely explore these in the coming posts and papers. I would like to reflect on Jenny’s post on Elluminate vs Networked Learning Conference experience. CCK08 has provided me with some insights into how learning could be different at a digital age, and highlighted why some of the rule based formal structured teaching and learning did not work out well in an open complex learning environment. 3. Open up education and learning, with a blended learning (based fully on learners’ needs), online learning (VLE), a fully opened learning network, supplemented and complemented with Web2.0 tools (PLE) and social networks, negotiated with the learners and community on an ongoing basis. I would go into the detail analysis – merits and limitations of each of the above approaches in coming posts. 3. Connectivism as an extension and positioning of patterning of education and learning theories under different contexts in community or networks, at different times – behaviourism, cognitivism, constructivism, social constructivism, situational learning, community of practitioners (COP), Actor Networks – it’s birth, growth, development, maturity and decay, and re-birth or reconfiguration, Theory of Affordance and Complexity Theory. 4. Connectivism as a sociological construct – where cultural, social and educational aspects of a community or institution are reconstituted from sociological perspectives. This provides a nice summary of the capability and literacies of an empowered learner. I realize that my thoughts are in a state of flux – may be that is the effect of “flow“, that helps me to think and reflect continuously throughout my life-long learning journey. I further realize that all my writings are coming from my thoughts, and so I just write what is in my mind into the blog posts – by thinking out loud, with a sense of serendipity. Such reflective thinking enriches my life greatly, as I could reflect on my experience with introspection, on what I have achieved, and what I have failed. Then I have to think about how I could improve in the future. Does it lead me to happiness? Happiness is a condition that must be prepared for, cultivated and defended privately by each person. It is only by controlling our inner experience that we can become happy. Flow- The Psychology of optimal experience by Mihely Harper, 1990. What should I improve? I think I could significantly simplify my writings (like the twitter – limiting every message to 140 characters). Would that be the critical literacy that I also aspire to – concise, reflective expression and inquiry? How could I further improve my skills of inquiry? In Chinese academy – those highly intelligent and wise scholars and thinkers were characterized with a sense of integrity and humility. They were highly skilled in “learning to ask – how, what, and why to ask”. Confucius was always asked by his students (disciples) on the philosophies of life, and his disciples were all inquisitive. So was Socrates, who provoked his students through challenging question. Jesus Christ interacted with his disciples using questions, followed by parables, metaphors and further inquiries. Would another critical literacy be ASKING QUESTIONS? That is THE ART OF INQUIRY and the Appreciative Inquiry. 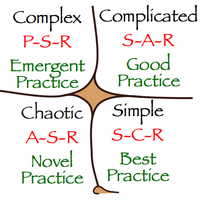 Is asking the right question important under Complexity Theory? I suppose we need to identify whether the situation is simple, complicated, complex, or chaos. So asking the right questions would lead me to consider the appropriate strategies when analysing or confronting a situation and tackling problems – based on sense making. I also find it fascinating in this new approach to research and inquiry From induction to abduction, a new approach to research and productive inquiry. It is right away a gift (for me). This Complex Adaptive System provides another great insight into how the system evolves. 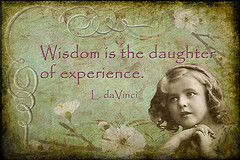 I learn greatly from Jenny’s recent posts, which were filled with wonderful insights and wisdom. I like her current post on complexity and critical literacies. Complexity theory poses a major question: What do the following mean for the philosophy of education: emergence and self-organization; connectedness; order without control; diversity and redundancy; unpredictability and non-linearity; co-evolution; communication and feedback; open, complex adaptive systems; and distributed control? Educators are intrigued when learning exists in an open learning environment (or a complex system such as CCK08). It would be difficult to predict and control the outcomes of the learning, due to the complexity nature of the spaces, media, agents and their interaction. I reckon there are many great Communities of Practice (COPs) out there in institutions and businesses, locally and globally. I also find great COPs in my previous and present work, and in many disciplines (including in my church, and in my early days of volunteering work, where I helped in creating an volunteering association, worked as a Vice Chair for 2 years in the 80s.) Even now in our CCK08, 09, Ning, Facebook Group, I could see new lights emerging from COP. I am learning to ask more helpful questions, rather than questions of “desperation” or those with an anticipated negative response. That is also part of the critical thinking that I am learning, by challenging our way of thinking, and reflecting on our experience. My comments are: If we could take away the “hats” of whatever it is called – i.e. COP, network, or hybrid, as I seem to sense the struggles with the theories and proponents based on the pioneers like Etienne Wenger (in COP), George Siemens & Stephen Downes (in Connectivism) and Dave Snowden (Complexity Theory). I think each of the theories have their merits and limitations, only that not too many people dare to point them out. It is “true” that we could easily “kill” the creativity and great work of others by being just “critical”, without resorting to the evidence, empirical findings and research. Even then, people could all defend and argue for life on what they have “created” or developed. How could “we” move forward in learning about “learning & associated theories”, without the baggage that “we” have with our pre-conceived “truths, experience, and perceptions” about certain theory? Am I all “coloured” by my experience and perceptions? I have been reflecting on this educational leadership where multiple “truths” could be based upon. So, I am still in search of learning theory, and learning metaphors that could help me in improving learning in an online environment. Here is my response to Heli’s post on her view on the process of learning. “Socrates believed the best way for people to live was to focus on self-development rather than the pursuit of material wealth. He always invited others to try to concentrate more on friendships and a sense of true community, for Socrates felt this was the best way for people to grow together as a populace” To me, “knowing” more will be more meaningful if such self-development could lead to friendship and community development, as we are all learners supporting each others, IMHO. So, wishing you to have a Merry Christmas and a Happy New Year.